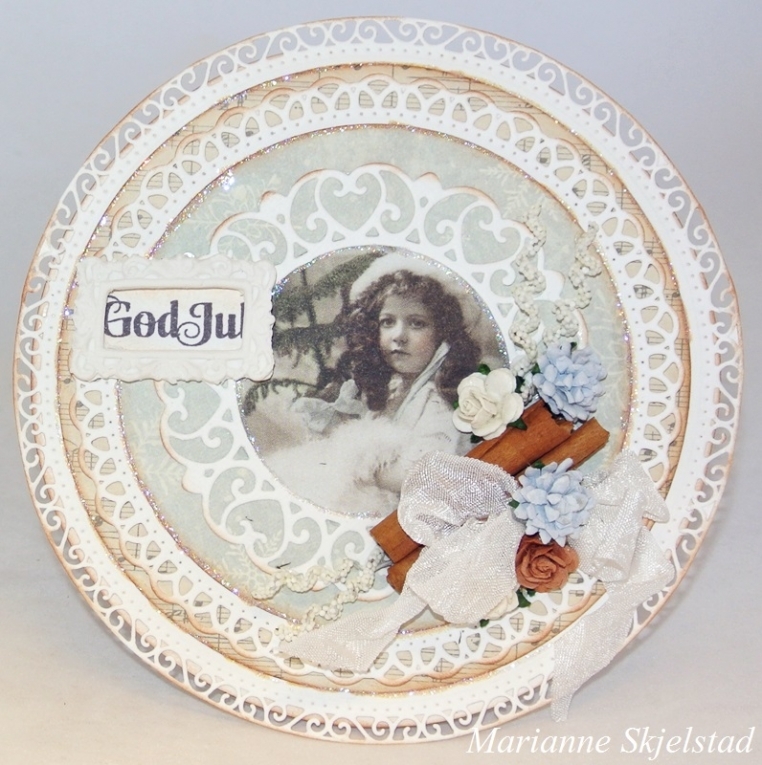 I have made a round Christmas card using the collections Silent Night and For Mother. The beautiful image is from the collection From Grandma’s Attic ~ tinted. The card is decorated with frames, roses, pearls, cinnamon sticks and stitches.